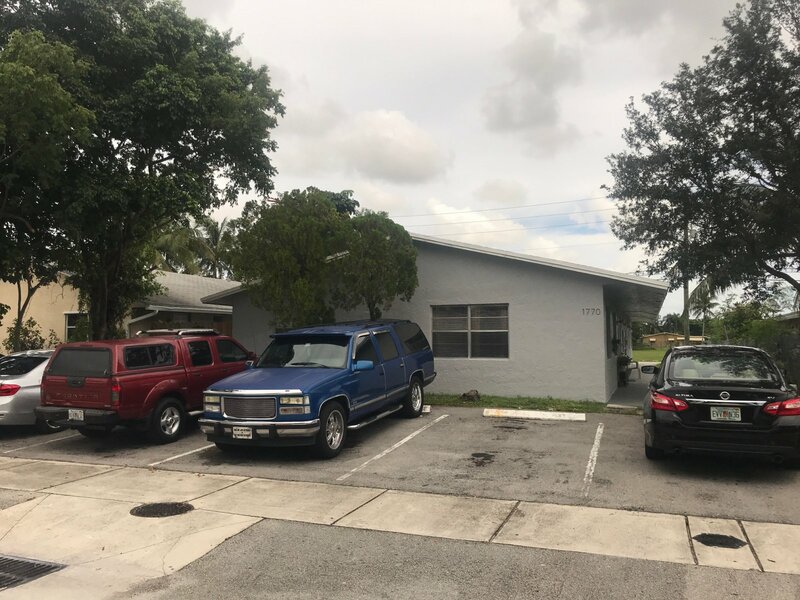 8% Cap Rate Fourplex 1770 SW 44th Ave, Fort Lauderdale, FL. Fabulous fourplex located in Fort Lauderdale. This property has two 2B/1B units and two other 1B/1B units. Property has been recently repaired and updated. It is in excellent conditions. All these units are already rented with very good tenants that have been living there for years which gives the new owner room to increase the rent. Total income amount of $4.200 every month. Maintenance costs are very low. Monthly expenses: Electricity: each unit pays its own bill (separate meters), Trash & Water: $150, Insurance: $1,500 (annual), Taxes: $6,255. Total annual Income: $50.400 Total anual Expenses: $10.035 NOI: $40.365 ROI: 8.5% Huge potential. There is still room to increase the rentals! Call for more details and please do not disturb the tenants.